A NOTICE of motion filed by Prime Minister Peter O’Neill seeking to have the National Court consider charging Task Force Sweep chairman Sam Koim with contempt was dismissed by a judge in Waigani yesterday. Justice Colin Makail in an 11-page judgment found that O’Neill’s motion was incompetent because it had relied on an incorrect National Court rule. Makail said Order 14 rule 47 of the National Court rules which O’Neill had proposed to the court to consider taking contempt proceedings against Koim was not open to O’Neill but open to the court to execute whenever it wanted to. “Ultimately, it should be the court at its own motion to direct the Registrar to act and not any other person,” Makail said in the judgment. 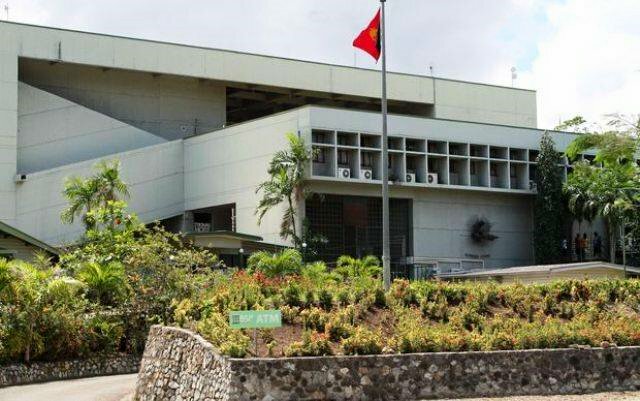 The court dismissed an order sought by O’Neill to have Koim referred to the PNG Law Society lawyers’ statutory committee for disciplinary reasons because the motion for contempt was incompetent. It also dismissed summons issued to the Editor in Chief of The National Pama Anio and lawyer William Frizzel and discharged them from any further obligations to the court. Makail however, said that another procedure under the National Court rules including order 14 rule 41 was open to O’Neill to file a motion and statement of claim against Koim for contempt. He said this rule was available and not utilised by O’Neill at this stage. Parties return to court for mention on March 3. O’Neill and NEC through its lawyers filed a notice of motion in the National Court to have Koim show cause why the court should not direct the Registrar to apply or start contempt proceedings against Koim. He also sought orders from the court to have Koim referred to the PNG Law Society or the lawyers’ statutory committee for disciplinary reasons. O’Neill and the other respondents had contended that Koim was in breach of a court order after he released a paid advertisement in The National on Nov 18 last year. The order was issued by the National Court on July 16, 2014, which restrained Koim from discussing the current judicial review proceedings in public, including the media.